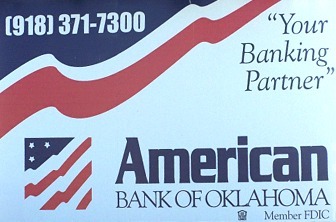 Noticed the new name had recently been installed on the baseball / softball building adjacent to the Pat Colpitt Field. 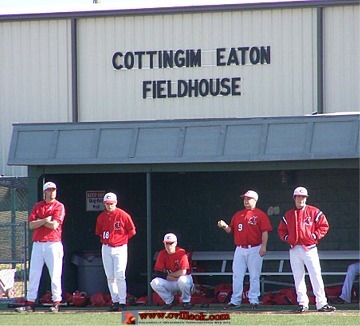 The fieldhouse had been referred to as the Pepsi Building for many years until the school board honored the Cottingim and Eaton families in Jan. 2008 for their many contributions to the school system. D.J. 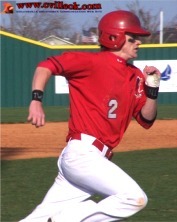 Neighbors pitched the first 4 innings with the scored tied 3-3 against Pawhuska. 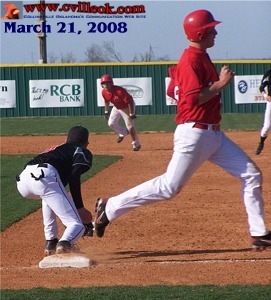 Larry Howard on 2nd and Garrett Tole passing 1st base against Pawhuska. 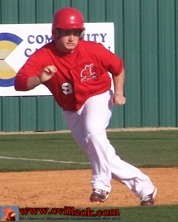 Brad George scored from 2nd base on a Bobby Shoate single in the 6th to put the Cards up 4-3. D.J. Neighbors led off the 7th with a double and scored the final run on a Riley Murr sacrafice. 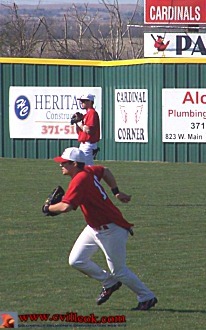 Lane Coulter in right and Garrett Thurman in center field with the new "Cardinal Corner" in the background. 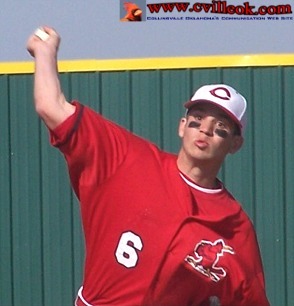 Kyle Keith took over pitching duties in the 5th inning against Pawhuska Friday. 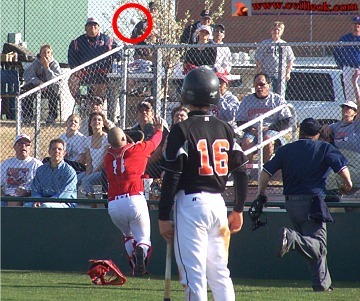 Bobby Shoate caught this foul popup but the umpire ruled the ball had hit the netting first. 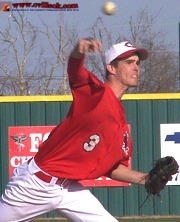 Note: I received an email report that the CHS Cardinals finished third place in the tournament.